SINGAPORE - Even as SMRT announced at around 5pm on Wednesday (Nov 15) that services on the East-West Line between Boon Lay and Tuas Link had resumed - albeit with slower trains - its North-South Line was hit by another glitch. 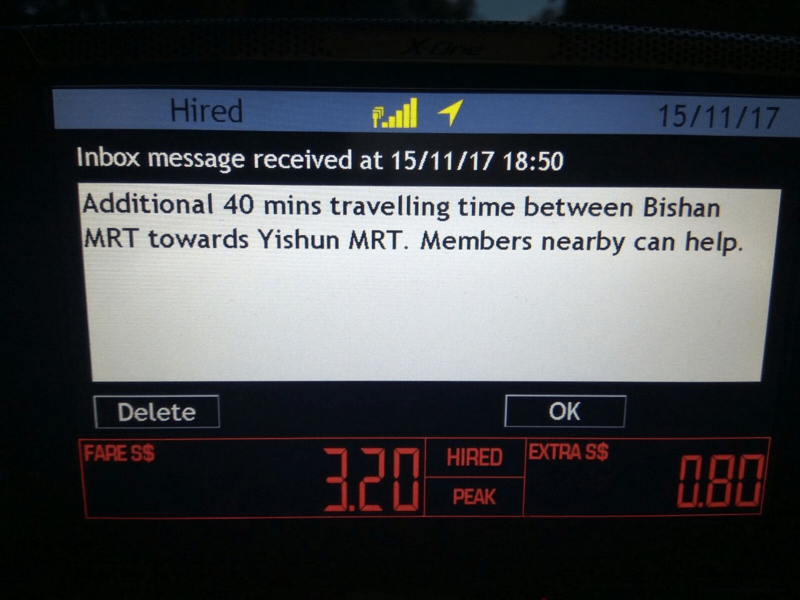 In its latest Twitter post, SMRT advised commuters to add 40 minutes to their travel time when commuting on the North-South Line. It added that free one-way bridging services from Bishan to Yishun, as well as free regular bus services between Bishan and Yishun in both directions, were still available. Commuters said trains had been moving slowly and stopping at each station for up to 15 minutes before moving again. Business owner Manoj Kumar, 48, said he was at Dhoby Ghaut when the train stopped for around 15 minutes. It did the same at Somerset. At 5.40pm, he was still at Orchard station. "People started walking out of the train," he said. "My wife took my son to Admiralty Park to play. Her phone is flat. She is waiting for me because she does not know how to drive back. And the train is not moving." SMRT said in an earlier Twitter post that there were "fewer trains serving the North-South Line this evening". It added at the time: "Please cater additional 15 minutes' train travel time". [NSL]: Due to fewer trains serving the NSL this evening, please cater additional 15 minutes train travel time. Free bridging bus services from #Bishan to #Yishun (one way) and free regular bus services between #Bishan and #Yishun (both directions) are available. 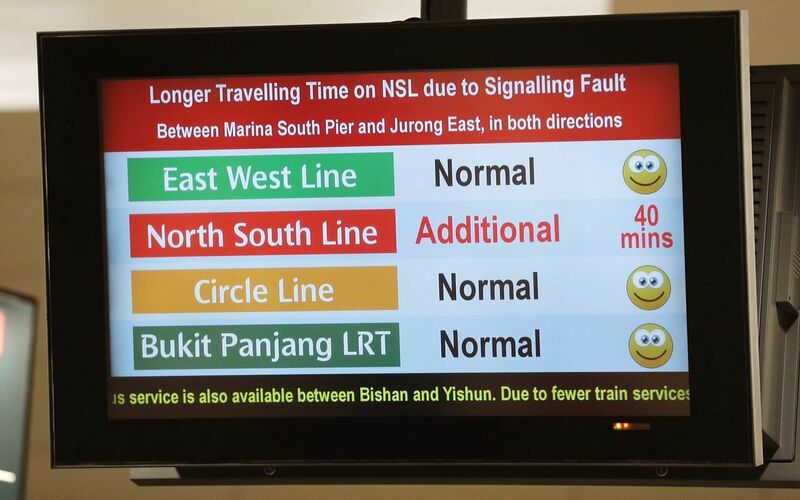 [NSL] UPDATE: Pls add 40 mins train travel time when commuting on the NSL. Free bridging bus services from #Bishan to #Yishun (one way) and free regular bus services btwn #Bishan and #Yishun (both directions) are still avail. Commuters are advised to take alternative train lines. It has not said why there were fewer trains. Earlier in the day, two trains collided at Joo Koon station, disrupting service between Boon Lay and Tuas Link stations for more than half a day. On the same morning, what was believed to be a door-related glitch disrupted service on the Circle Line. It caused massive overcrowding at Bishan and Holland stations. Even in the afternoon, commuters said service on the Circle Line had not reverted to normal, with doors remaining open at stations for longer than usual.